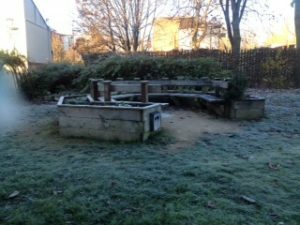 The garden at Woodhouse Community Centre is looking lovely in the winter sunshine today but it is very cold out there!! 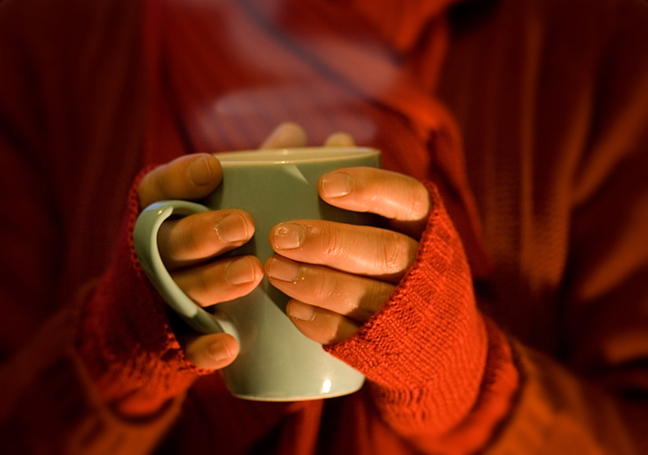 Make sure you keep warm today and take care if you need to go out. Caring Together is a ‘Winter Friend’ in Leeds and we also have a small stock of warm bedding, socks, gloves and thermal underwear. Give us a call if you need any of these. 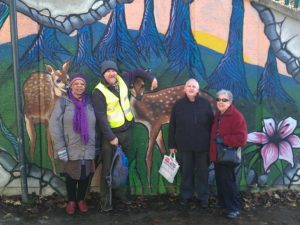 Our walking group encountered some creatures you wouldn’t normally expect to see in Kirkstall! Yesterday’s walk from St Chad’s to Kirkstall was the last one of 2016 and thankfully the weather allowed it to go ahead. Once a month a small group of people, mainly retired aged from 50 to over 90, meet in the circle bar of Leeds’ very own City Varieties. The group is called The Fashionable Lounge. ”Memories are shared, heart-warming, moving, revelatory and funny. Everyone has their own story to tell. No-one is ever left out. A feeling of cosy camaraderie has grown. Sometimes we play games and we have even been known to do a bit of play acting which is fitting for the venue”. At present the group are involved in an Inter-generational project along with Leeds Older People’s Forum. 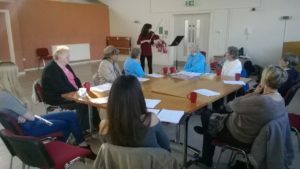 Caring Together was involved in the initial pilot of the Fashionable Lounge project and it is good to see that it was such a success that most of those involved from Caring Together are still attending. Walking Football is a version of the game where any player caught running concedes a free kick to the opposition. If you fancy giving this a go contact John at Caring Together and we will put you in touch with one another. 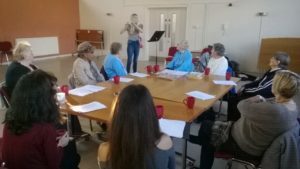 Caring Together has been successful in its recent application for a grant from the Winter Well-being programme which has been funded by Public Health, Leeds City Council and one of Leeds Community Foundation’s donors. The grant will enable Caring Together to more fully support older people in Woodhouse and Little London over the coming months in coping with difficulties experienced during the winter period. Caring Together, its staff, trustees and members offer our thanks to Leeds City Council and Leeds Community Foundation for the faith that they have shown in us to undertake this extra work. 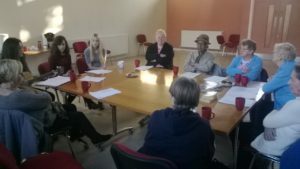 Lisa Keyworth of the SAFER Project was back at Caring Together on Tuesday, stimulating discussion around scams and frauds. Lisa gave information about postal and telephone fraud and how to protect yourself from doorstep criminals. 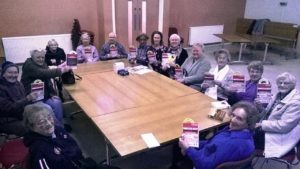 The SAFER project is a community protection and empowerment programme, working with older adults across West Yorkshire aiming to raise awareness and provide residents with the knowledge and skills to protect themselves against rogue traders and scams, and also to provide front-line advice and support to those already in crisis from such activity. 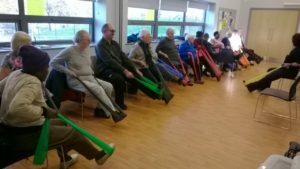 The Tuesday Group, which operates from Woodhouse Community Centre, became the second of Caring Together groups to take part in the 5 week Effective Falls Management Exercise Training. ”LUUMIC, or Music Impact in the Community, is a volunteering society that aims to get involved in the community of Leeds through the shared love of music. We collaborate with a range of organisations to give our volunteers a wide variety of experiences that they can carry forward into their lives”. 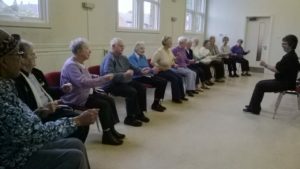 Well, LUUMIC are back in Woodhouse, bringing their talents and enthusiasm to Caring Together Groups. We value this connection and our members have expressed delight in their return. 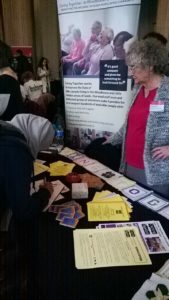 Caring Together recently had a stall at the University of Leeds Autumn Volunteering Fair. The fair exists to allow students a forum to meet with local organisations, contribute to the local community and develop transferable skills through volunteering. Caring Together has developed excellent relationships with the two local universities over the years and provided hundreds of students with volunteering opportunities. From the age of 60 our muscle mass does decline and falls can happen more frequently. However there are ways that we can reduce the risks. 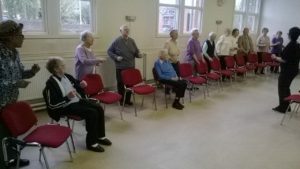 Caring Together has embarked on a 5 week programme in collaboration with Leeds City Council on falls prevention in older people and those with long term conditions.